We made it, everyone — the season is finally upon us. Who cares about blustery cold weather, 5:00 PM sunsets and the dread of holiday travel? The return of college basketball cures everything, right? Heading into a packed evening of hoops that includes no fewer than eight Big East games, here are some final conference preview thoughts and predictions. Conference winner: Villanova. Yawn. Even suffering the loss of four key contributors, it’s hard to hand the Big East crown to any other team at this point. The Wildcats may have taken a step back in the offseason, but so did most every other club in the conference and the gap is still too wide for another team to catch up. Senior Eric Paschall is primed for a breakout season and may become must-see TV if he can brush up on his outside shooting. The onslaught of new arrivals should also be fun to watch as Jay Wright tests his rotations before tightening things up come conference play. Biggest out-performer: Xavier. Being picked by Big East coaches to finish sixth in the conference standings isn’t necessarily a slight given the Musketeers’ extensive offseason roster and coaching turnover. That said, it’s hard to foresee a team that has two breakout sophomores and an excess of experienced transfers finish among the bottom half of the league. Naji Marshall and Paul Scruggs were overshadowed by Trevon Bluiett and JP Macura last season, but expect new head coach Travis Steele to unshackle the duo and put them in the open floor where they can best succeed. Biggest under-performer: St. John’s. 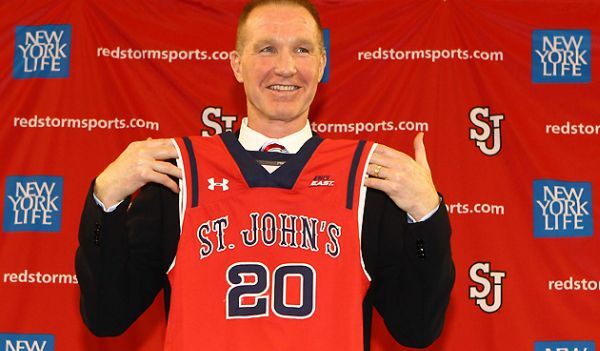 As a New York resident, I would like to see a St. John’s basketball resurgence more than anyone, but it’s difficult to bet against a string of disappointing seasons regardless of how much talent fills its roster. Guard Shamorie Ponds is electric with the ball in his hands, and the transfer additions of Mustapha Heron and Sedee Keita will add some much-needed depth, but all told, there is too much concern about size and rebounding to pronounce the Red Storm as legitimate Big East contenders. Chris Mullin‘s group finished among the bottom 60 teams nationally in both offensive and defensive rebounding last season and will have only one true big man on the roster this season (Keita). Small-ball has proven to work for plenty of teams, but the St. John’s guards are going to need to chip in on the glass. Every team experiences roster turnover and this offseason was no different. What’s interesting this time around, though, is that those personnel moves were particularly harsh to the better half of the conference. Villanova, Xavier, Butler, Seton Hall and Providence – the conference’s five representatives in the NCAA Tournament last season — each lost leading scorers or otherwise critical starters. Some of the bottom half of the league, however – e.g., Creighton and St. John’s — emerged relatively unscathed. 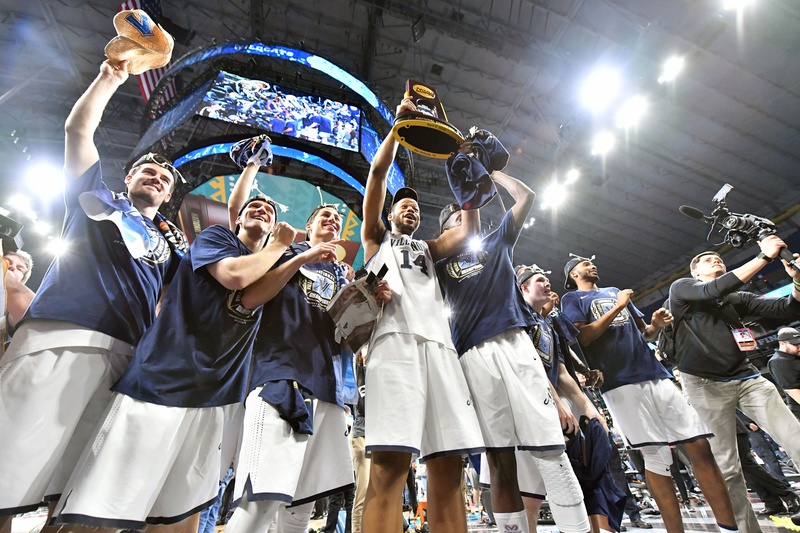 There will be some natural upheaval in the standings as teams at the top re-position themselves with different rosters, but the 2016-17 Big East is likely to hinge on a number of key questions and themes below. What to Make of Seton Hall Without Isaiah Whitehead? The highly touted 6’4” guard lived up to the hype in his sophomore season and used it to sign a four-year contract with the Brooklyn Nets over the summer. By putting the ball in his star’s hands and letting him create, Kevin Willard led the Pirates to their first NCAA Tournament appearance since 2006. Whitehead was one of the highest usage players in the country last season, and rightfully so — his ability to get into the lane to score or dish puts immense pressure on opposing help defenders. With Whitehead no longer around, Willard will turn to junior Khadeen Carrington to handle the point guard duties. Carrington is more than capable of running the show, but teams always take a different form after losing a ball-dominant player. Whitehead and departed senior Derrick Gordon accounted for over half of the team’s assists last season, so the biggest question at Seton Hall is whether anyone on the team other than Carrington is capable of propelling the offense. Swingman Desi Rodriguez didn’t show that he could create much off the dribble last season and forward Angel Rodriguez primarily garnered his points off putbacks or dump-offs. Maybe freshman Myles Powell can create something for himself, but that remains a big question mark. Forecasting a team’s performance is no easy task, and to do it before a single game has been played is the equivalent of heaving half-court shots while wearing a blindfold. Nevertheless, here we are, just a work week away from the season tipping off and trying to determine which teams are worth buying into. Cases can be made for most any team to outperform its expectations, but at the end of the day, forecasting involves assessing the most likely scenarios and then re-evaluating those over the course of the season. Below are four Big East teams that will be starting the season at the bottom of the conference totem pole with a brief discussion of what they can do to alter that perception. It’s that time of year again. Selection Sunday is right around the corner and sports sections in newspapers and websites across the country are littered with college basketball discussions. Championship Week is a tasty prelude to next week’s madness, but it offers much of the same intensity, drama and excitement. Every conference has a team (or several) fighting to keep its dream of making the NCAA Tournament alive. While many major conference teams already have at-large bids locked up, some others are forced to play each game as if it were its last, because, well, it might just be. The Big East has six teams that appear to have played well enough during the regular season to earn those coveted NCAA bids. The other four have not been quite so fortunate and therefore will begin their pursuit of the dream in this week’s second season. Below is a brief review of what to watch for at Madison Square Garden. 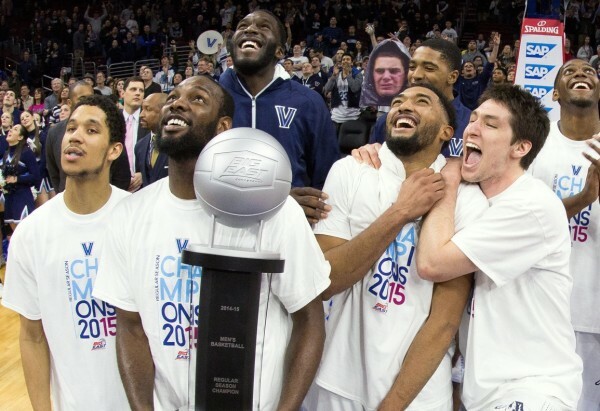 Will Villanova uphold its projected #1 seed for the NCAA Tournament? How will a surging St. John’s perform at home amid the tournament hype? Will one of the bottom four teams piece together a tournament run similar to Providence last year? 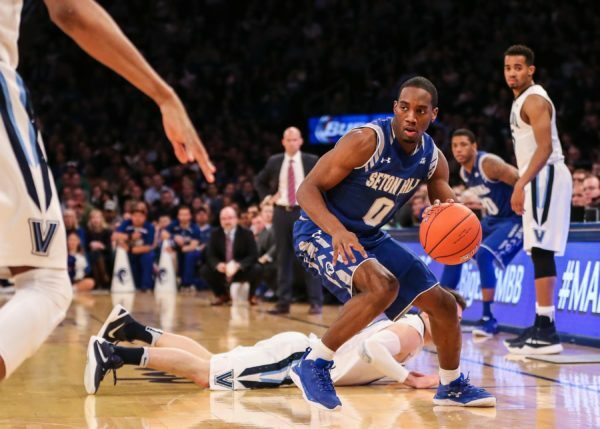 Seton Hall’s fall has been a steep one, but is there enough in the tank to regroup and make a run? The Favorite: Villanova Wildcats (29-2, 16-2). It should come as no surprise that Villanova is the overwhelming favorite to win the Big East Tournament. After bowing out in the quarterfinals to Seton Hall last season, the Wildcats brought back most of their core group while adding a steady backup point guard in Phil Booth. Save for an ice cold shooting performance at Georgetown in February, Villanova’s offense has looked nearly unstoppable, running over any Big East opponent that has stood in its way. That balanced offense, led by senior Darrun Hilliard and full of shooters and slashers, poses all sorts of problems. The recipe for beating it is to strategically extend out to the perimeter on every player while keeping a rim-protector nearby should the Wildcats put the ball on the floor. Georgetown successfully figured this out (for one game, at least), while Butler and Creighton came awfully close as well. It can be done. Welcome to conference preview season. In this, our fourth of eight conference preview RTC Podblasts that we’ll be rolling out before the dawn of the season, RTC columnist Brian Otskey (@botskey) joins us to discuss the key storylines, teams and players to watch among the 10 teams of the Big East. As always, Shane Connolly (@sconnolly114) hosts the podblast, and the full rundown of topics is below. Make sure to tweet at us (@rushthecourt) if you have any opinion on which team should be the gang’s new favorite heading into the 2014-15 season. Also remember to add the RTC Podcast to your iTunes lineup so that you’ll automatically upload it on your listening device after we record. And don’t forget to check out our 2014-15 Preseason Storylines Podcast, and feel free to contact us at any time — we’re listening.